Slay the Dragon! Walk the Plank! Climb the Cliffs! 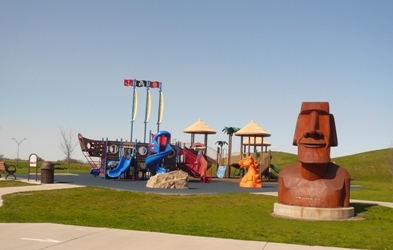 Discover all this and more at Altoonas Ironwood Park (aka the Pirate Park). My favorite part is the pirate ship that you can climb on and make your friends walk the plank. Beware of crocodiles! Now there is a shelter for eating under and a basketball court too. I wonder what they will add next? And watch out for the hills, they are the best for sledding in the winter or rolling down in spring. Were so glad we found this park because its now our new favorite!